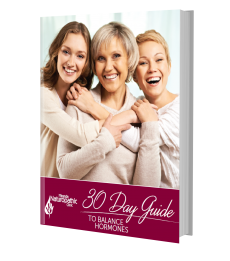 FREE 30-Day Guide to Balancing Your Hormones! Almost everyone over the age of 35 or 40 (and sometimes even 20) begin to experience symptoms of hormonal imbalances. This can be due to environmental or dietary toxins or from stress and unhealthy lifestyles. Excess or deficiencies of different hormones can cause health problems. At the clinic, we use accurate and comprehensive lab testing (link) to create a personalized treatment plan for you. These treatments can help you enjoy robust health, strong bones and energy of someone half your age. The key is to determine exactly what hormone is off balance and whether it is high or low. Unfortunately, it may be difficult to determine this by just looking at symptoms or taking a case history. For example, symptoms such as weight gain, low energy, bloating, water retention, and headaches can be due to low thyroid, excess estrogens, low progesterone or an imbalance of cortisol. This is why most of my patients come in complaining: “I know my hormones are off balance but I am not sure which one or how to fix it”. 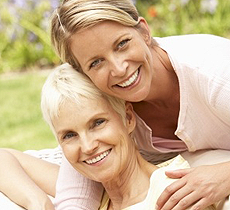 In cases when there are low level of hormones, an optional treatment is the use of “Bio-identical hormones”. What natural hormones do we offer?